Show me the three kits you let get away and wish you hadn't. Thread: Show me the three kits you let get away and wish you hadn't. Gotta love that all those giant tubs were triggered. And no suspension mounts- not that it would've made a difference. I’m sorry but looks-wise, larger rack toms are more appealing to me. That looks like a man’s kit. Uh, no. 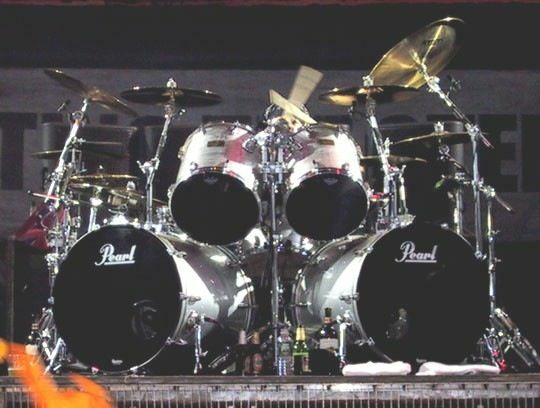 There is a difference between the Tama kit shown and the 14” and 15” racks on VP’s kit. Of course, this is a reasoned, adult distinction- not the black and white decision a child would make. I can totally see why that hurts. Yeah dude was the biggest kick in the nuts I ever felt.. I was hard up for money at time an didn’t realize I sold the best dam recording Snare I’d ever own or have. I will not Mr. hipster. Uh, ok. If it’s possible, if you could make less sense let me know. I think you are asking a bit much wanting 3 kits from anyone. Many drummers don’t even have 3 kits in their lifetime. I had one kit get away, but i was able to get it back. I've had 30+ kits and I'm only 41... I'm starting to think my wife mite have a point regarding my addiction lol. For real though I can go for the one kit that got away or your top three. Whatever! Just share some old time picks and lets talk about the drums we love!